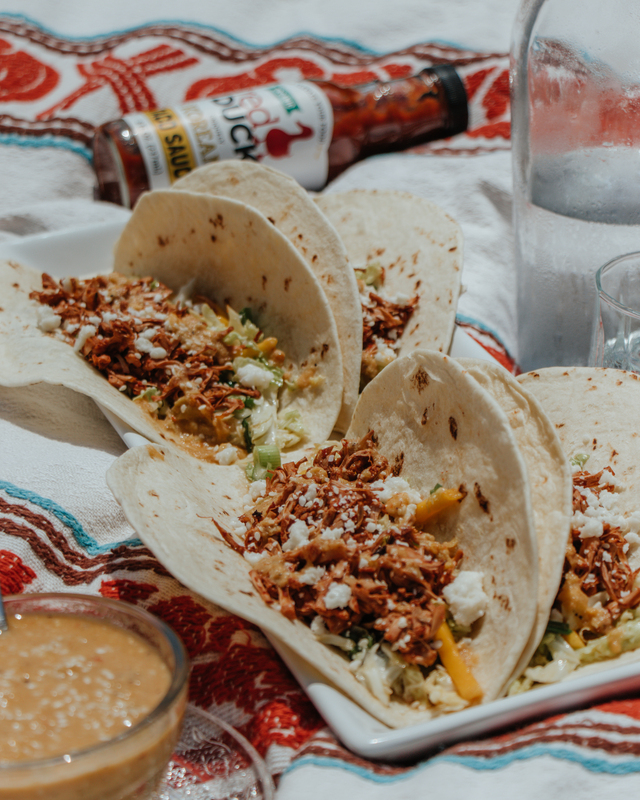 If you’re like us, you know that it’s going to be a good day when tacos are on the menu. 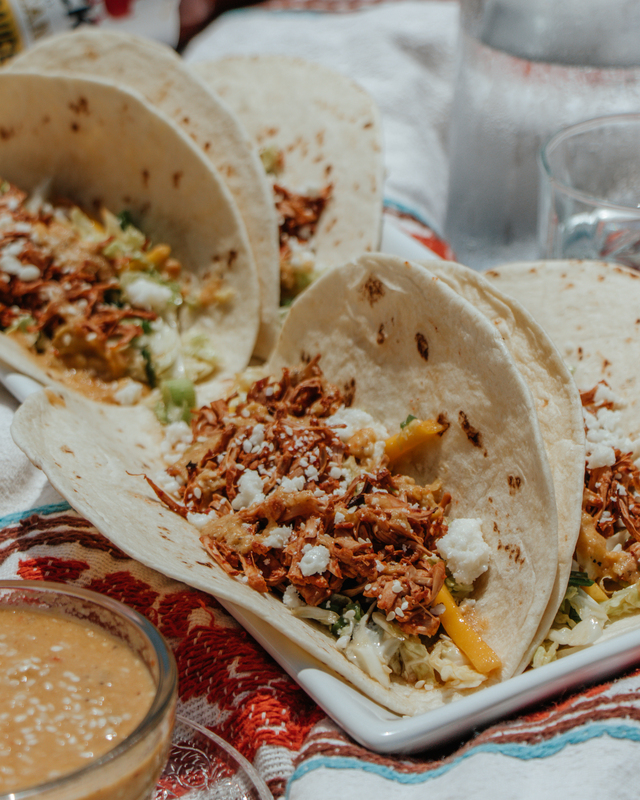 Tacos are both delicious and a fun way to get creative in the kitchen. They are a perfect excuse to get outside of the box and combine flavors that you never thought would pair well together. The final component that really makes this dish pop is the pulled jackfruit. 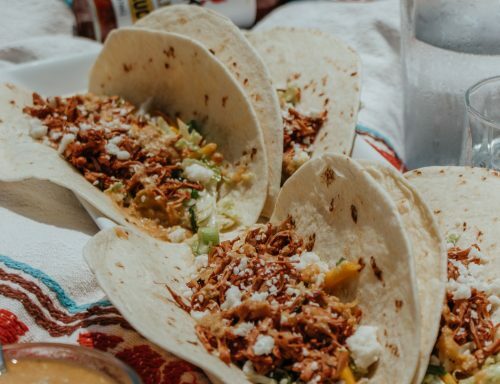 With texture just like pulled pork, meat eaters to vegans will devour these tacos without second thought. Now, we know that using jackfruit can be daunting, but that’s why we’re here to help! We try to make things simple by offering the edible portions ready for use in our produce section. Simply peel and remove the seeds so you’re left with the stringy material. That’s what you’ll need for this dish! If you’re feeling more adventurous, just pick up a whole portion of jackfruit (which we also sell!). Remove the skin and about 1/4 – 1/2 inch of the outer part of the jackfruit. 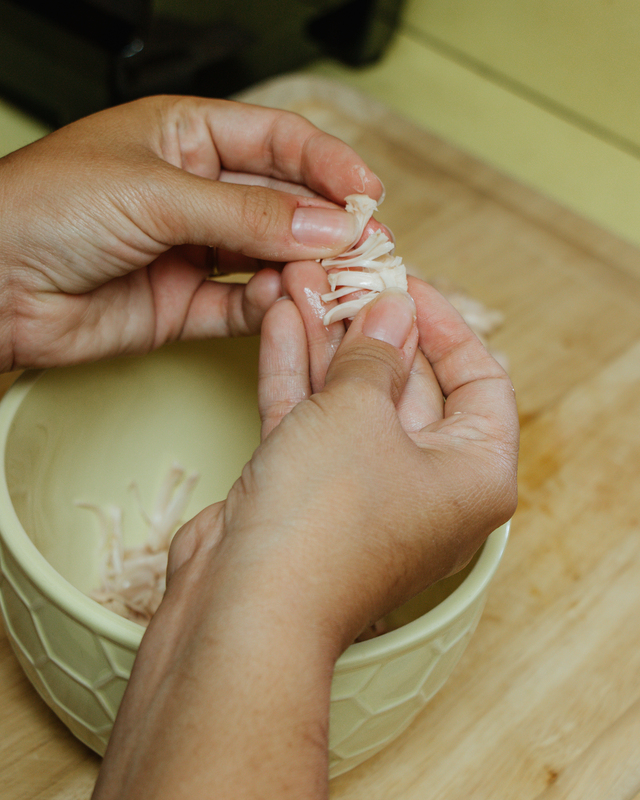 Pull and cut the jackfruit to remove the stringy parts that are between the fruit to be used for the pulled “pork”. Once you have your stringy jackfruit, you are ready to get cooking! Here’s what your jackfruit should look like once cooked. A lot like pulled pork already, right!? Once you’ve gathered the stringy material of jackfruit, add it and the vegetable broth to a pot. Simmer for 30 minutes, until the majority of the liquid has reduced. Line a baking sheet with parchment paper and bake for 10 minutes. 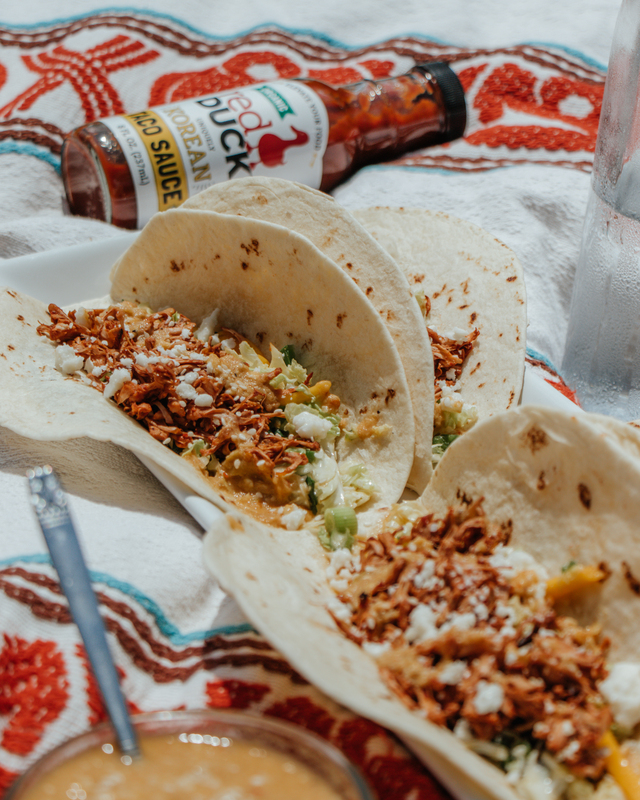 Take the jackfruit out of the oven and stir in taco sauce to fully coat. Place back in the oven and cook for 10 more minutes, until slightly browned. Set aside. Get the rest of the details over at Half Baked Harvest!